This being the weekend of Sports Relief it seemed only fitting to post a little portrait I did while shooting for Comic relief recently. The Only Fools And Horses sketch was shot over two days at Wimbledon studios ,and I was lucky enough to document the unfolding on set action . 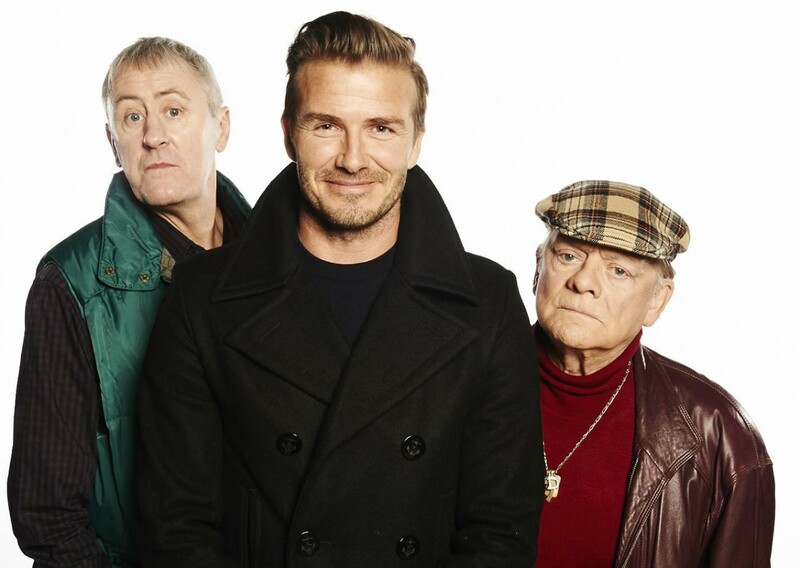 Towards the end of the shoot I did my setups with Del-Boy,Rodney and Mr.Beckham. This is a version of the shot that the BBC used to promote the sketch. When i started shooting the trio I told them that what i had in mind was David Jason and Nicolas leaning around David B…To my confusion, David Jason then promptly turned his back on me, eventually turning round as i coaxed him to face me .